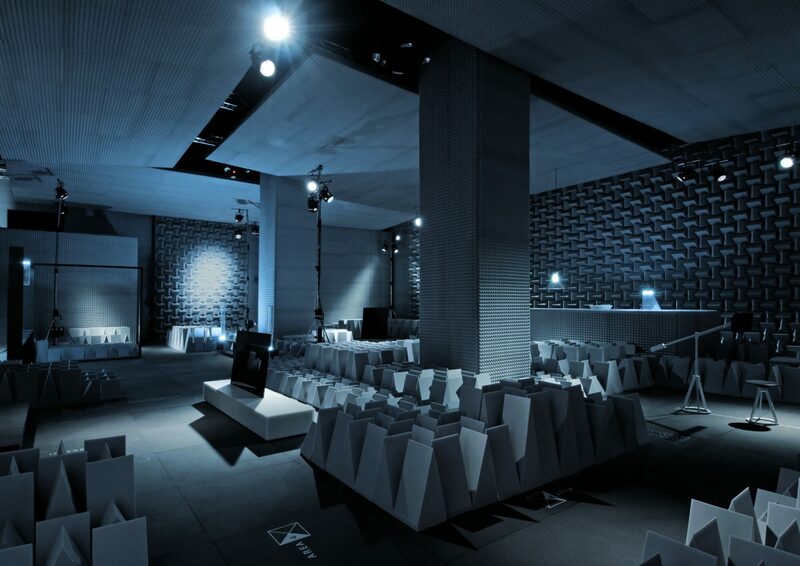 Sony commissioned Universal Design Studio, MAP and Barber Osgerby to reposition the brand at their first showcase exhibition at the world-famous Milan Salone. 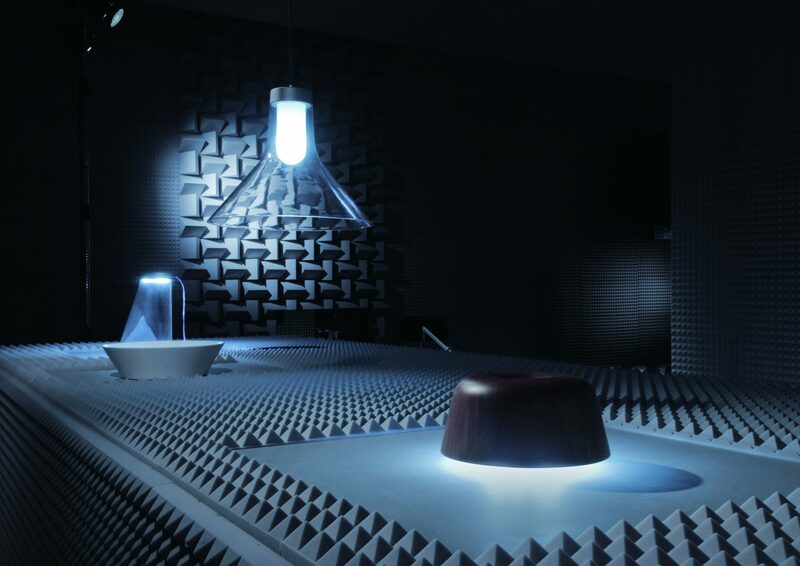 The exhibition focused on exploring the extraordinary research technology used by Sony that enables almost any surface to be used a speaker. 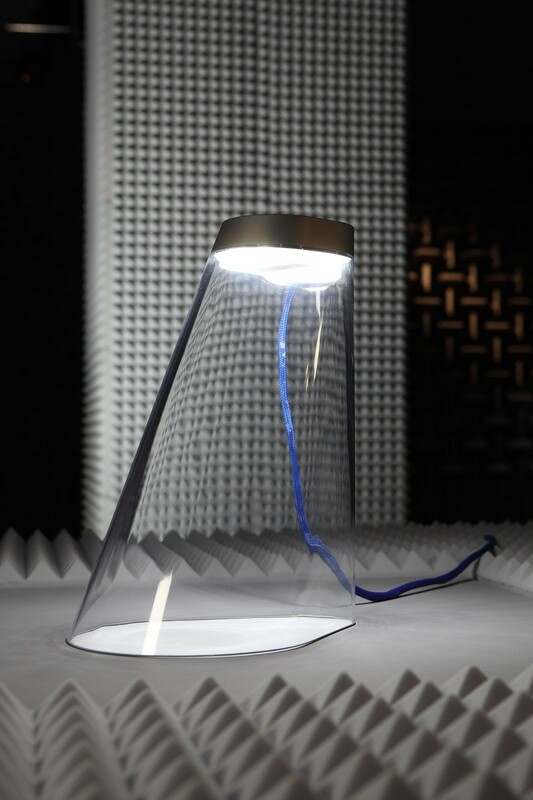 Using an embedded chipset, materials as diverse as wood, Corian and perspex were used to create experimental speaker designs for different areas of the home. 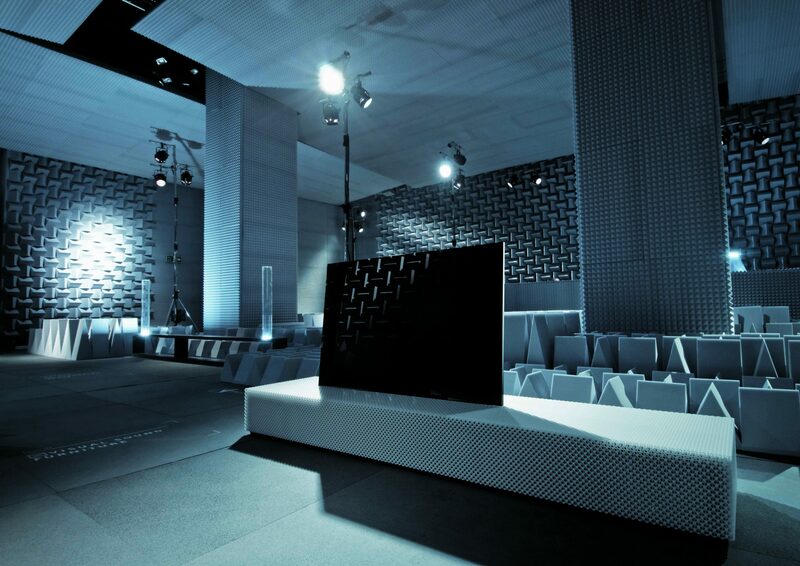 The exhibition environment, designed by Universal Design Studio, takes the form of an immersive sonic installation. 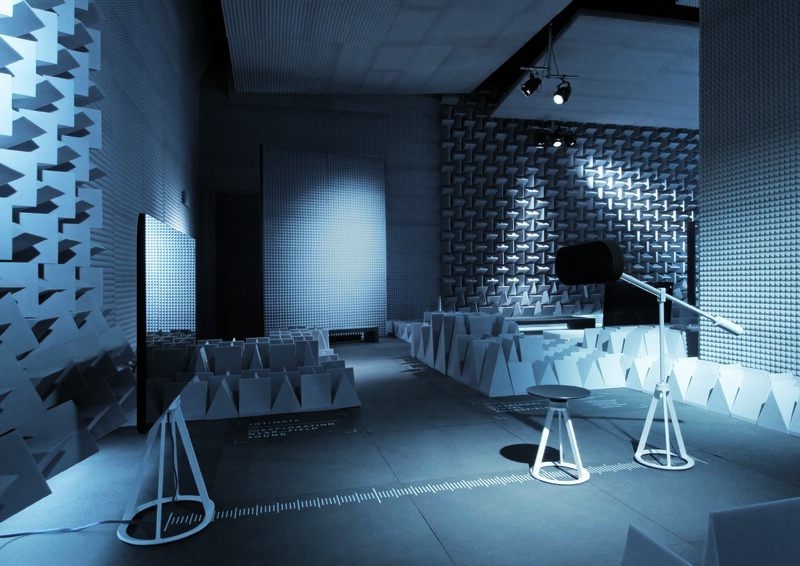 The 400 sqm space was entirely clad in acoustic melamine based foam cones and pyramids forming an anechoic space for the duration of the Milan Salone. 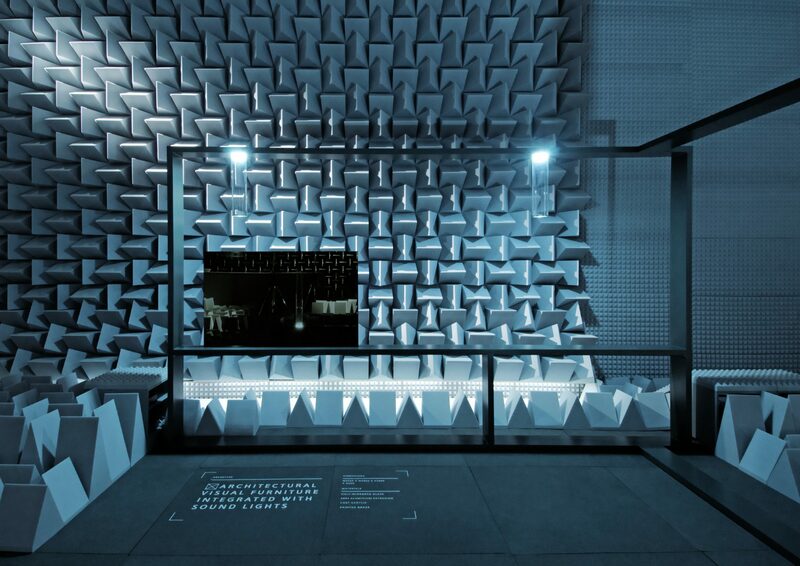 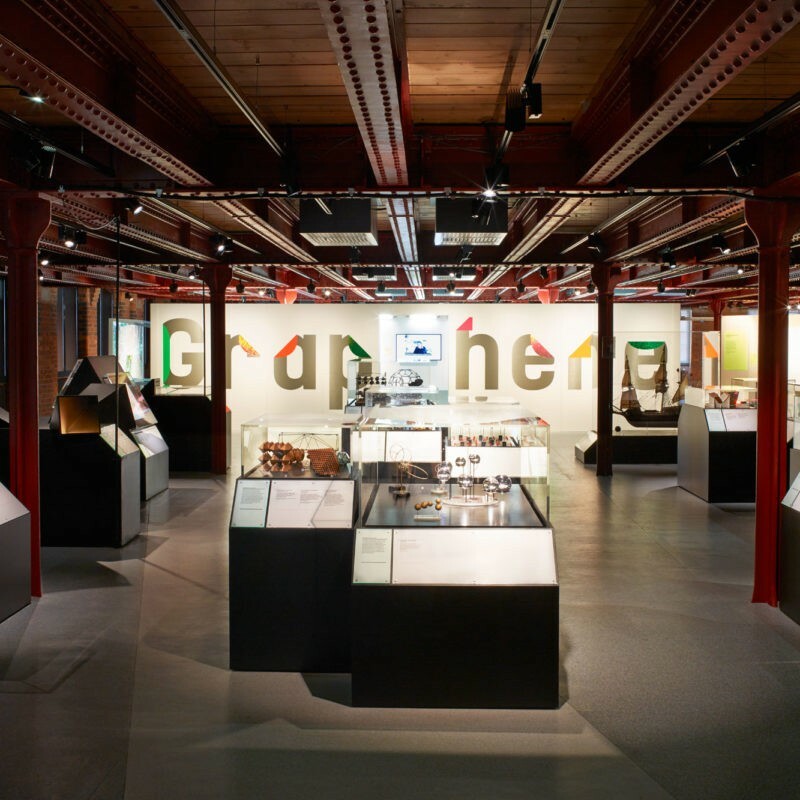 We worked with Arup Acoustics to fully develop the space into a reverberation free acoustic laboratory to highlight the experimental nature of the exhibition contents. 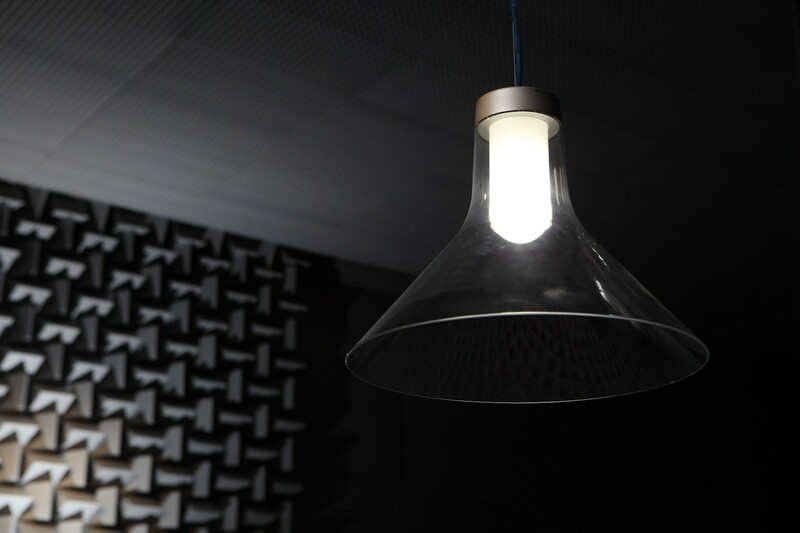 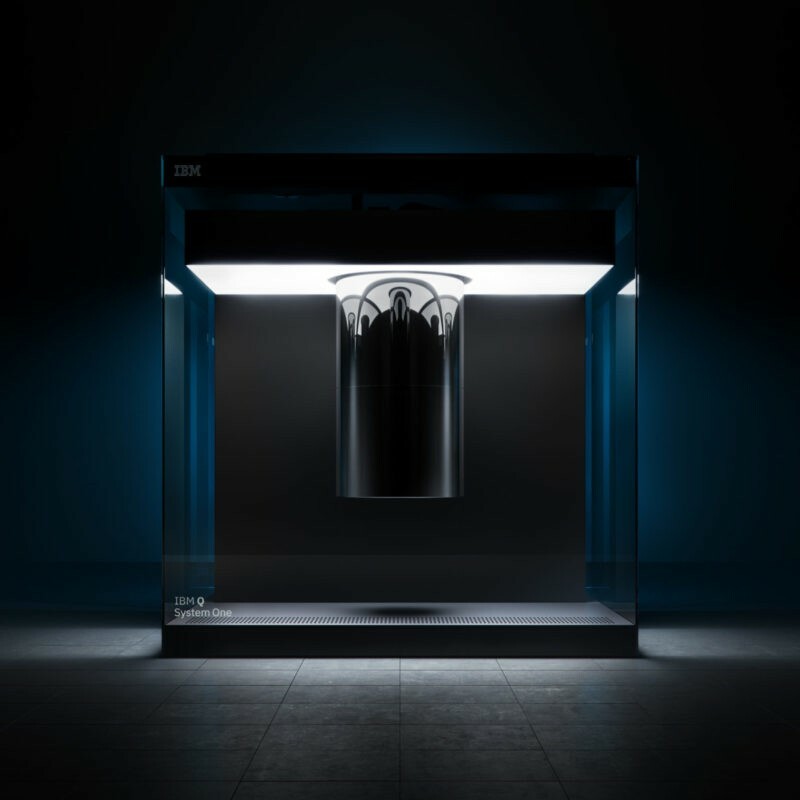 This project opened a window into the parallel universe of research and development underpinning our use of contemporary electronics. 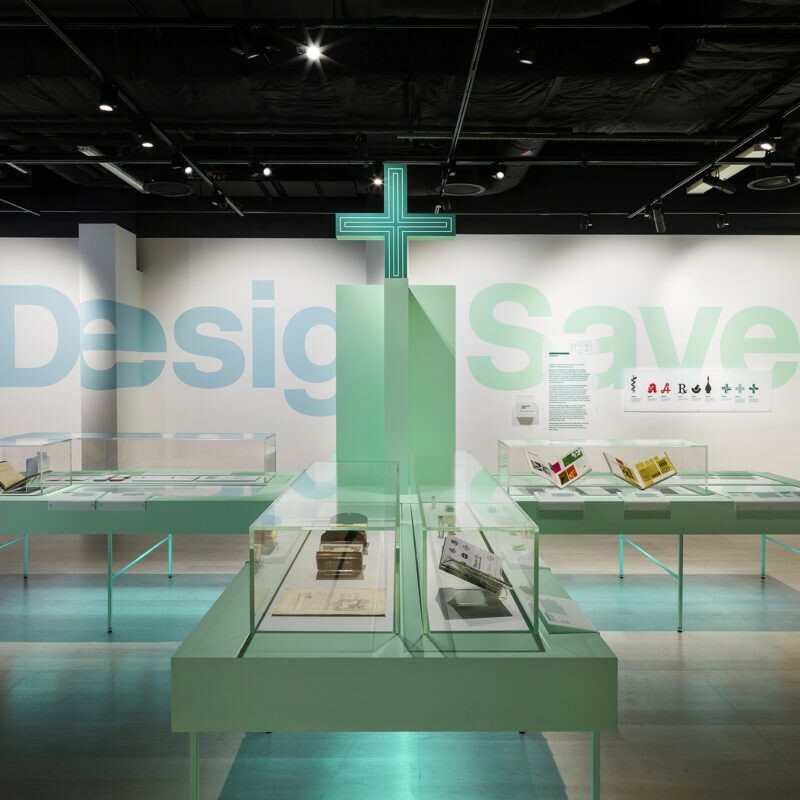 Much of the aim was to to reposition the brand’s design technology as the “soul” of an object, rather than its exterior shape and styling and build an exhibition about the non-visible aspects of sound design.